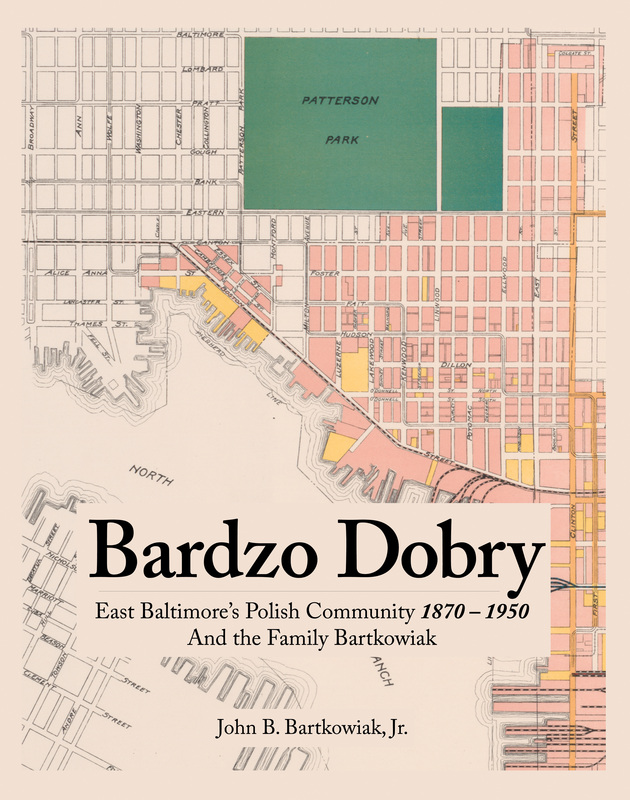 This is a brief story of the East Baltimore Community Polish Community, Jozef Bartkowiak, his family and their first four generations in America. It is a story that is quite similar to that of thousands of other Poles who arrived in East Baltimore during the great immigration between 1870 and 1915. There were no letters, diaries or other personal documents remaining to assist in the writing of this volume. Except for a few interviews with family members, the entire book is based on reminisces of the author and produced from public records - cemetery, church, city directories, land records and U.S. census data. The wind comes across the stage in the theater of life very rapidly. By the time you are in your fifties it becomes a torrent; by the time you are in your seventies it can seem like a Category 3 hurricane. It is at that time that you may pause and reflect: Where did it all go? And it is at that time, before the candles on the stage go out, that you easily can reflect upon what likely is the most important period of our life: the formative years (say between the ages of 15 and 30), the events that took place at that time, and, more importantly, the individuals with whom you shared that time. Thus, we have this short story of the period between 1960 and 1975, with a dramatis personae (the actors on the stage) numbering about a hundred or so. It’s a story of their experiences in life at that time – the excitement, adventure, education, athletics, and even romance that made them who they were at a very special place. That place was at the corner of Baltimore Street and Linwood Avenue in East Baltimore, Maryland. These were sons of “the greatest generation” who survived the Great Depression, and who fought and won World War II. They all were third generation of European ethnicity whose fathers in all likelihood never were able to attend college, nor for that matter complete high school due to the economic realities of the first half of the 20th century. But that didn’t matter, because they came from good people and, when called, practically all would serve in the military unhesitatingly. Many would be the first in their family to complete college or accomplish a major trade skill that their fathers had very limited opportunities to pursue. Our story will try to remember as many from this period and from the Corner as we can.